Take the Eurostar from St Pancras to Martigny, a local train from Martigny to La Châble and then a cable car direct to Verbier. Geneva Airport: 160km - 2hr. Geneva Airport is the nearest international airport to Verbier. Zurich Airport: 280km - 3hr 15min. Geneva Airport Geneva train station is 300 metres from Geneva Airport departures/arrivals levels. The train journey from Geneva to Verbier Resort takes between 2hr 45min and 3hr 30min; requires 2 trains, a walk and a bus. Last departure from Geneva Airport 17h09. Zurich Airport The Train from Zurich Airport to Verbier Resort, via Lausanne, takes between 4hr 45min and 4hr 25min with last departure from Zurich Airport at 15h13. The train station is at the airport. Car hire is readily available at all international airports. Drivers arrive via the N8 and N9 motorway at Martigny (25 km/15 miles from Verbier), then take the Great St. Bernard main road up to Sembrancher, continue to the Bagnes Valley all the way to Le Châble and finally the road to Verbier. There is also a regular bus service from Geneva Airport to Verbier run by Alpin Express. The journey takes 2 hours and runs only during the winter season from December through to April. Alpin Express also offer private transfers all year round. Geneva to Lausanne (3 hrs 54 mins). The nearest main line rail station is at Martigny, from where there is a local train to Le Châble, the brightly painted (red and white) Saint Bernard Express. From Le Châble, there is a cable car direct to Verbier; other options are a bus or 24-hour taxi service. In winter, a direct bus runs from Martigny to Verbier. The train journey from Geneva Airport to Verbier will involve 2 trains, a walk and a bus and takes between 2h45 and 3h30. Last departure from Geneva Airport is 17h09.The train from Zurich Airport to Verbier takes between 4h45 and 4h25, the last departure from Zurich Airport is at 15h13. The Geneva train station is at the airport, 300 metres from thet departures/arrivals levels. There are direct connections within Switzerland and Europe (including TGV). Zurich train station is also at the airport - just follow the signs. Find out if you need to change trains in Lausanne - which platform and time. There are usually reductions for children and anyone who is aged over 60. Return tickets are valid for one month. Trains depart for Brig - Simplon every 45-60 minutes. The train will head to Martigny, via Lausanne. (If necessary change trains in Lausanne). Detrain in Martigny and cross under the tracks to the platform where you catch the Saint Bernard Express, brightly painted red and white train, up to Le Châble, detrain, and walk to the yellow Post Bus awaiting your arrival, which will take you up to the main Post Office in the centre of Verbier. Travel by P & O Stena Ferry, Hoverspeed or Channel Tunnel all equally efficient, it takes approx. 8 - 10 hours to drive the 530 miles from Calais to Verbier. From Geneva to Verbier take the direct motorway via Martigny, which is just under 2 hours to the village. Drivers arrive via the N8 and N9 motorway at Martigny (25 km/15 miles from Verbier) take the Great St. Bernard main road up to Sembrancher, then follow the road to the Bagnes Valley all the way to Le Châble and finally the road to Verbier. 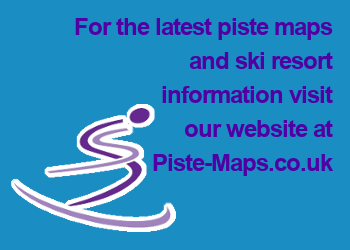 There is limited parking in Verbier and your chalet or hotel may not have enough, this means either using one of the four paid for areas, or taking your car to the free car park near the sports centre. Snow chains must be carried and winter tyres are highly recommended, as the resort is at 1500m and the roads are sometimes icy, but cleared very quickly.